With these super-chic steals, you'll get your perfect big-day look without breaking the bank. 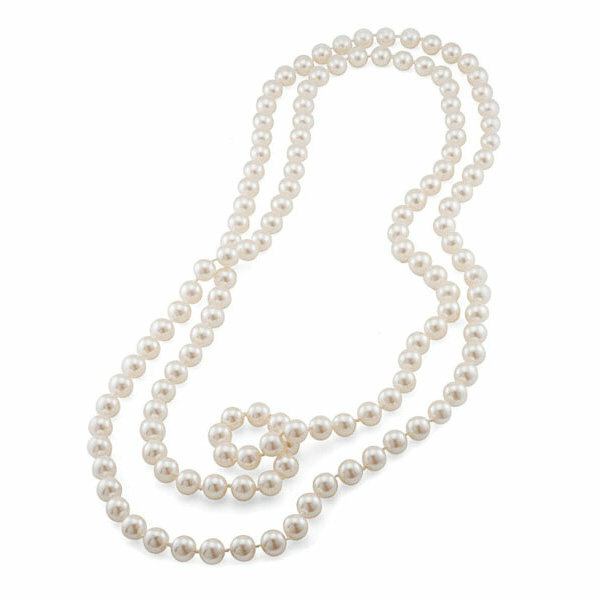 ￼72” pearl necklace by Carolee, $65. Custom wedding locket by Origami Owl, $97. Crystal necklace by Chloe + Isabel, $58. Rhinestone bangle by Lulu’s, $14. ￼Pearl pendent bracelet by Carolee, $55. Rose gold heart earrings by Swarovski, $59. Gold flower earrings by Marchesa, $48. Star and pearl earrings by Jewelry Storm, $78. Pearl earrings by Kate Spade New York, $38. ￼Vine hair comb by Headbands of Hope, $14. ￼Hair comb by Nina x Swarovski, $68. Crystal peep-toe pump by Lauren Lorraine, $98. Sandal by Pink Paradox London, $60. ￼Glitter minaudière by Glint, $58. Evening bag by Betsey Johnson, $98. Mobile phone charger by Ban.do, $30. Revlon Love Is On eau de toilette $35. NYX Ombré Blush in Soft Flush, $10. Benefit Stay Don't Stray primer, $26. L’Oréal Paris Infallible Pro-Last Nailcolor in Constant Coral, $9.95. Nonie Creme Colour Prevails lip duo in Classic Red, $14.